It appears that the famous ride-hailing company Careem is having another legal headache. Careem may have evaded the social media backlash but its legal troubles might be just getting started. Careem did a marketing activity earlier this week, which was humorous indeed but also struck a few wrong cords. 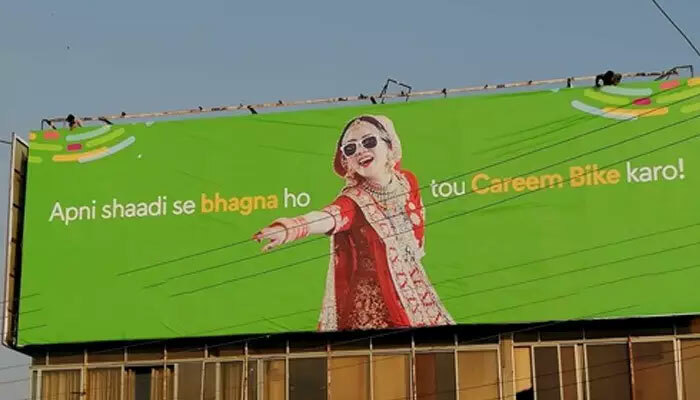 As of now, according to reports, a petition against Careem has been filed at the Islamabad High Court (IHC) over the recent Billboard Campaign of Careem. The petition is filed by deputy media coordinator of a political party Rashid Umar advocate and Syed Umer Sohail Shah from Jamaat-e-Islami. The petitioner argued in the filing that the private ride-hailing company has breached the law by putting up the immoral billboard in cities, which has hurt the moral sentiments of the people. Moreover, the petition also reads that previous court decisions were made against such advertisement and this billboard campaign poses a question on our values. Therefore, the court should impose a heavy penalty on Careem on such advertisements. For the uninitiated, Careem launched a marketing campaign for Careem Bike service installing billboards in different areas of major cities. One of the advertisements showed a bride, who if wants to run away from the wedding can order a Careem Bike. These advertisements went viral on social media and opened a new public debate, which eventually resulted in the filing of this petition. We have confirmed from our sources that another petition against Careem was filed in the Lahore High Court, but it has been dismissed by the court. Careem declined to our request for the comment.